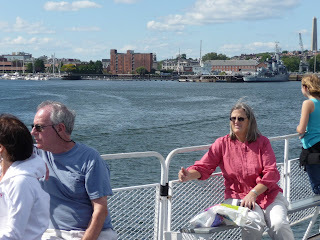 An employee at the Charleston Navy Yard pointed us in the direction of a harbor ferry that would take us back downtown so off we walked in that direction. 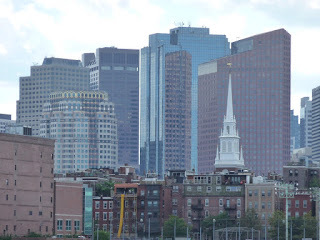 We thumbed through our Frommer's Guide to Boston (borrowed from our local library and renewed online-how's that for a budget travel tip?) 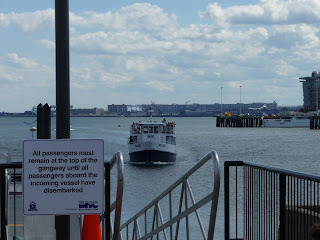 and were quite pleased with the positive comments, so we cheerfully waited for the next boat to arrive. 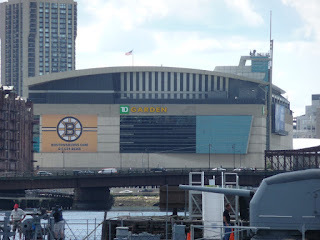 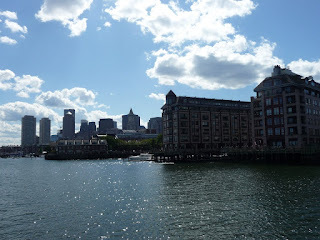 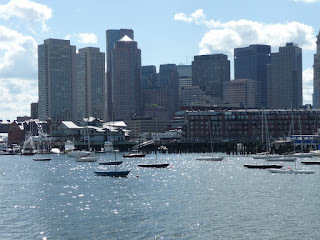 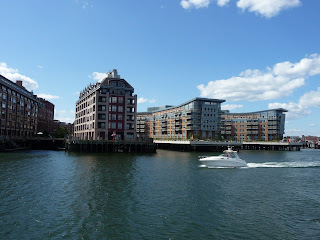 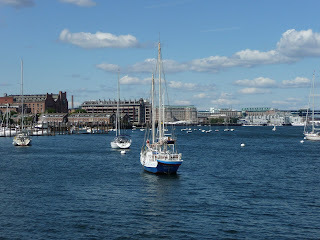 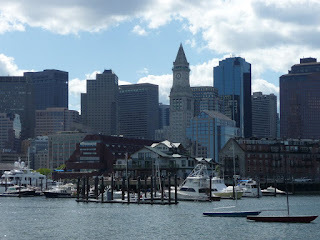 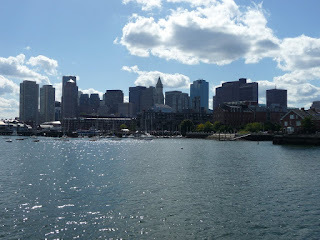 Our short ride from the Charlestown Navy Yard to Long Wharf left us with the same impression as these reviewers: a lovely way to get from Point A to Point B, especially on a beautiful September day.